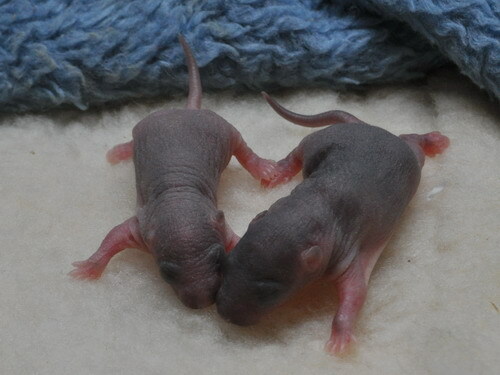 16/03/2015: 7 babies, day 23 of the gestation period (8 born, 7 surviving). 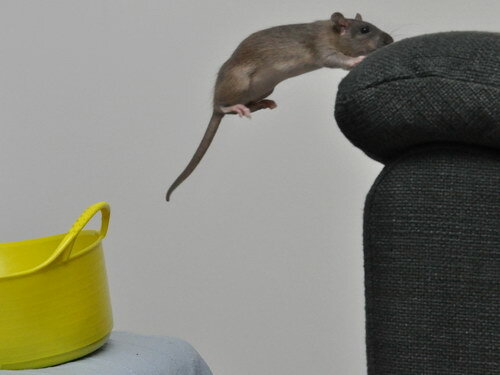 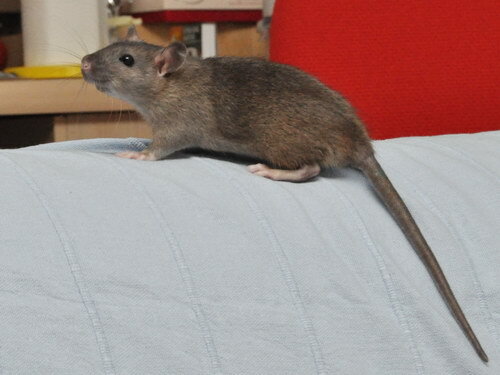 Hedonista is a really fun little doe, very good-natured and zippy. 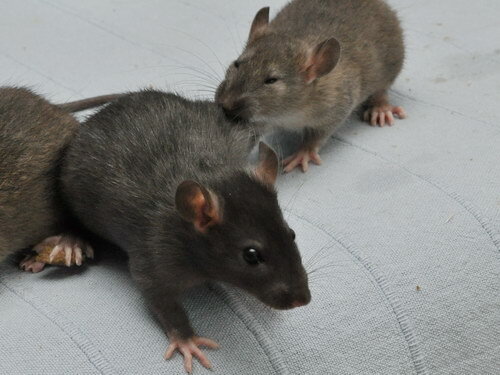 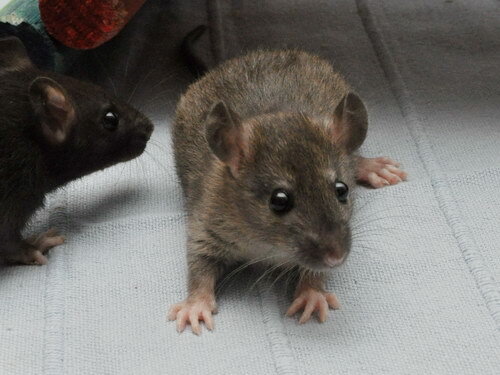 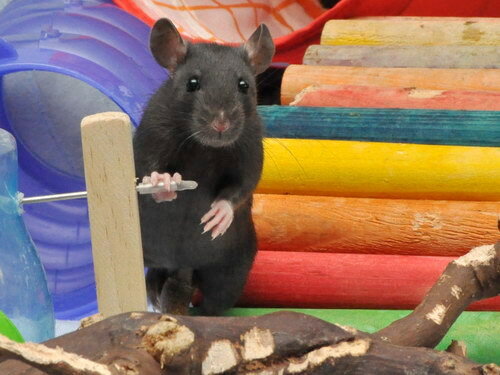 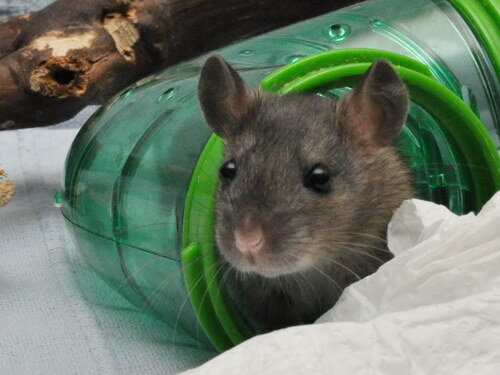 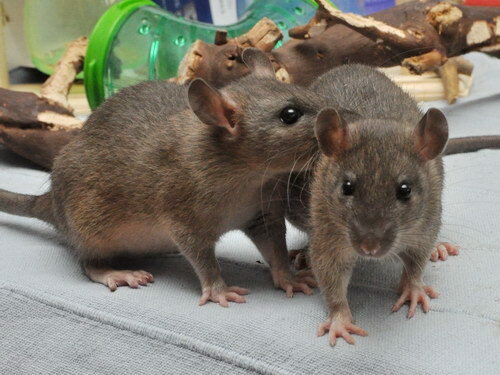 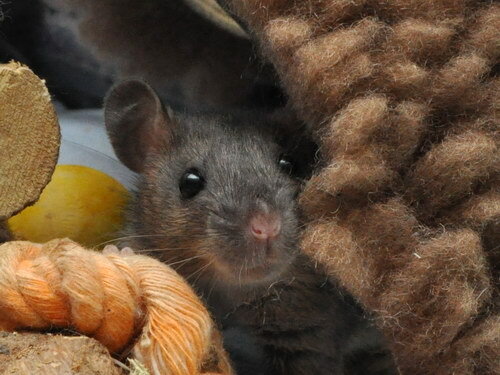 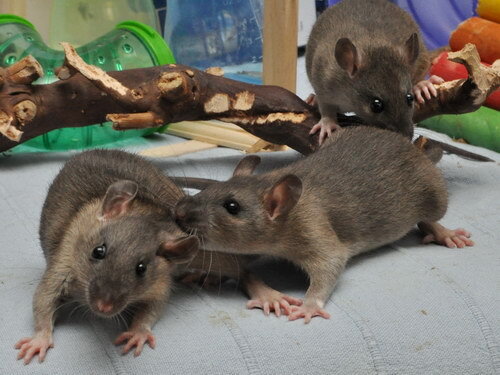 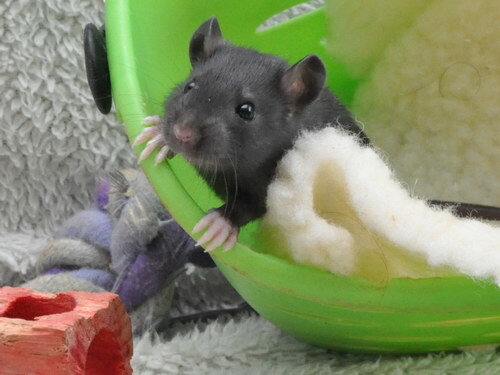 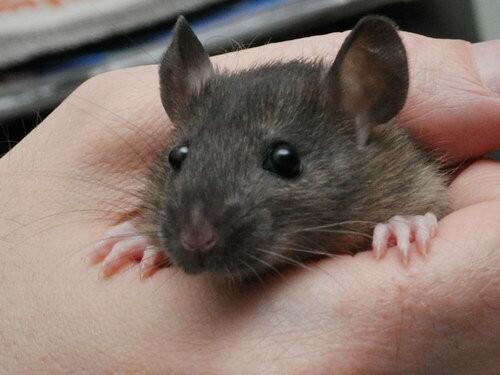 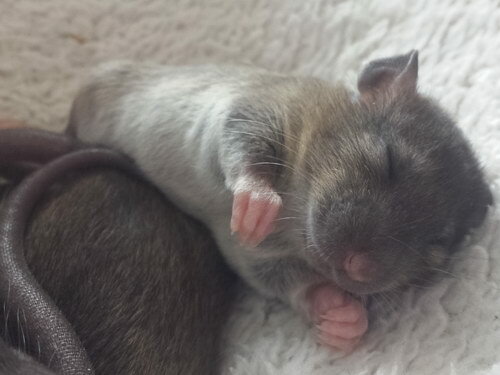 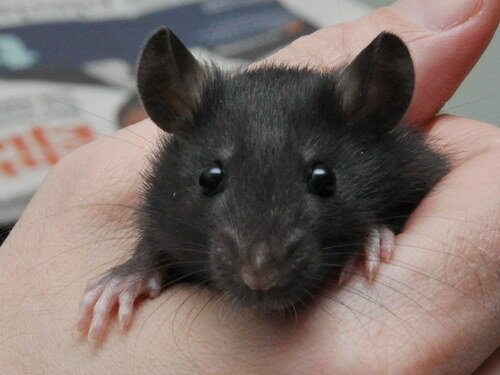 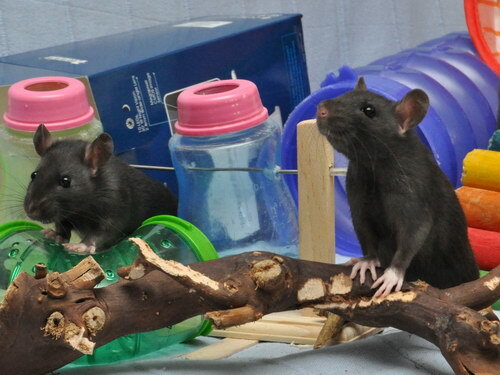 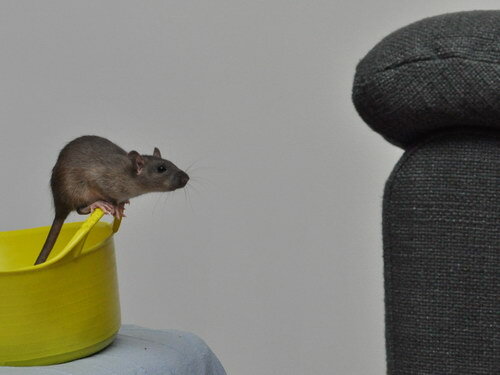 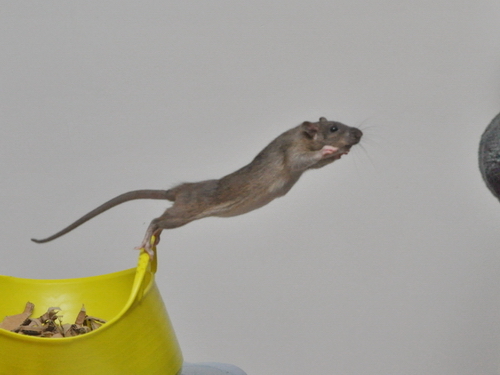 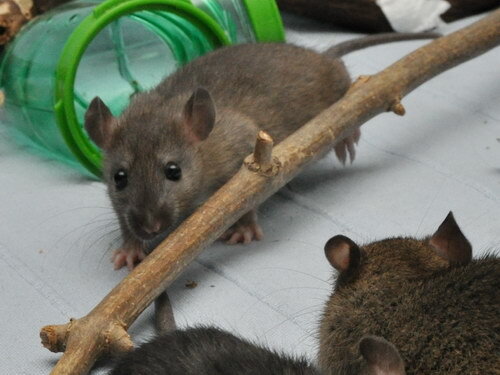 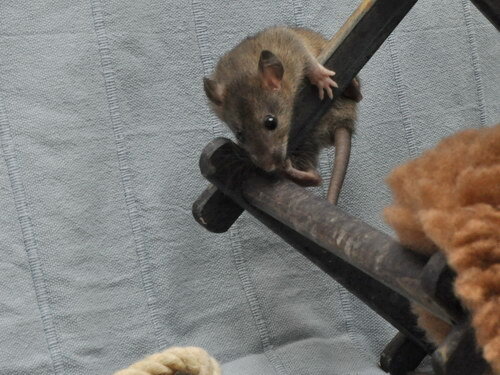 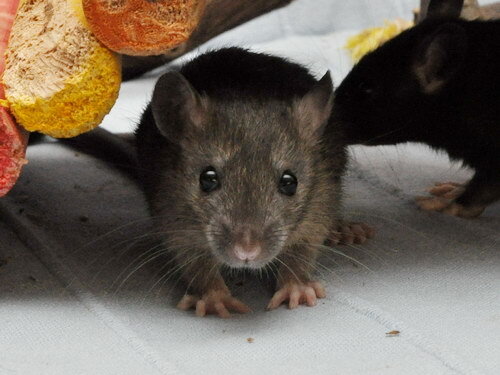 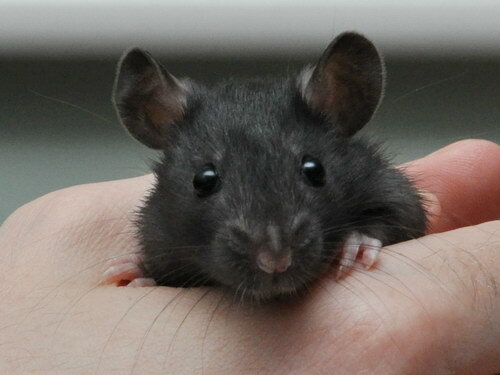 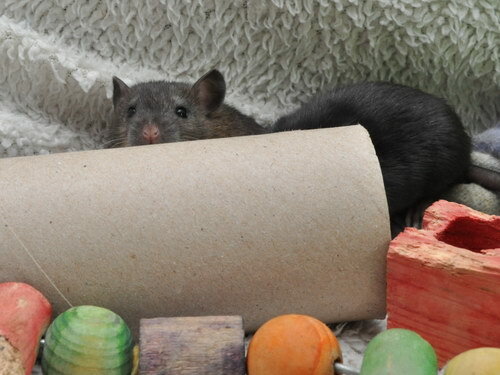 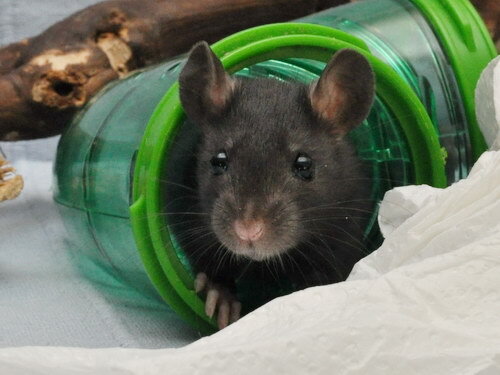 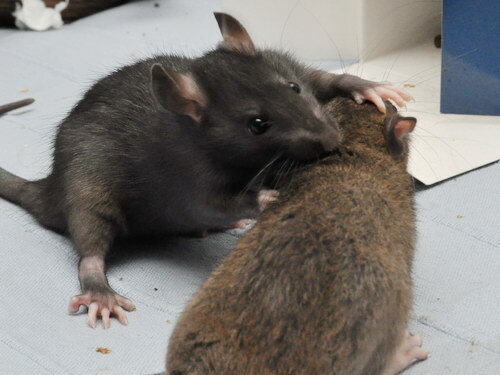 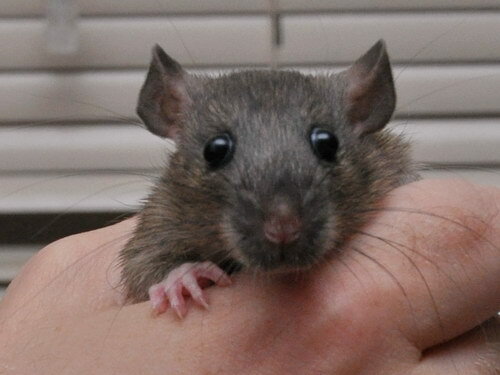 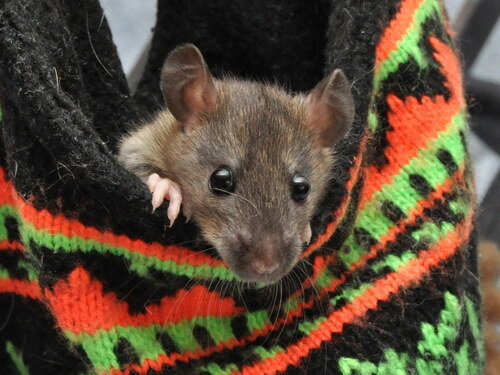 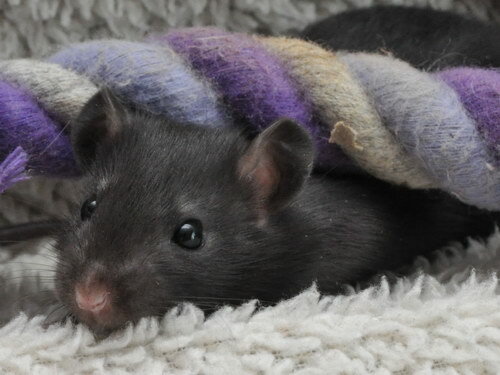 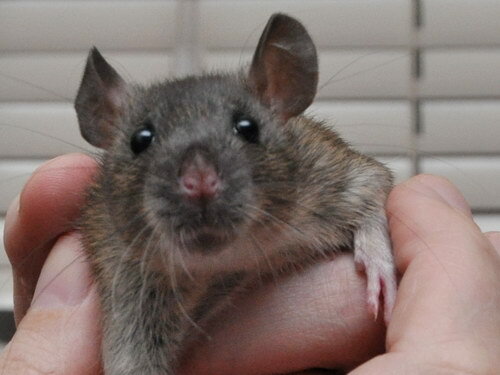 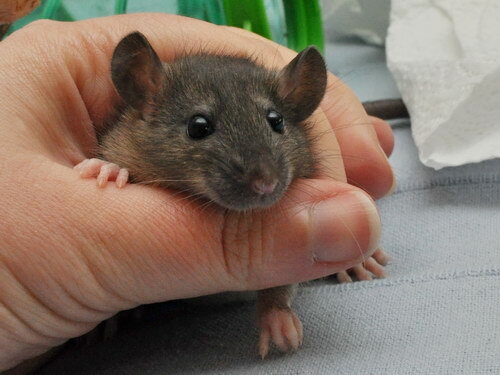 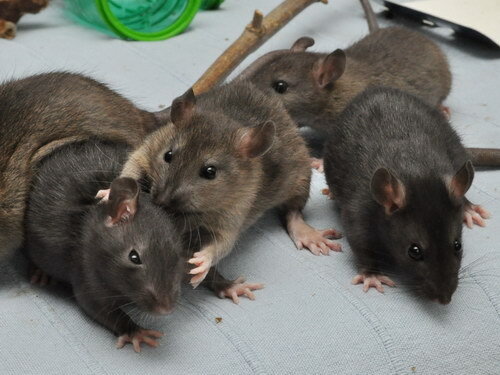 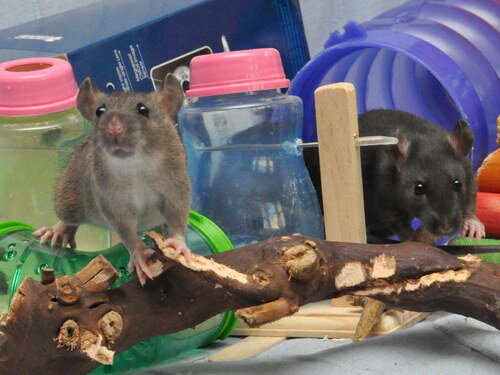 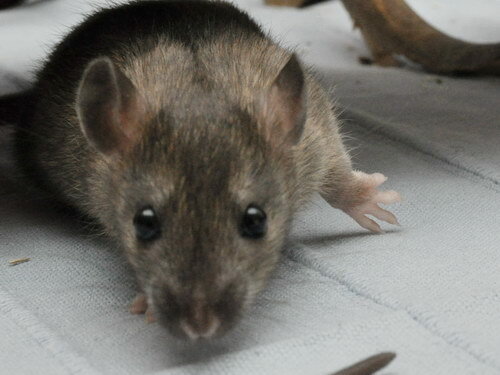 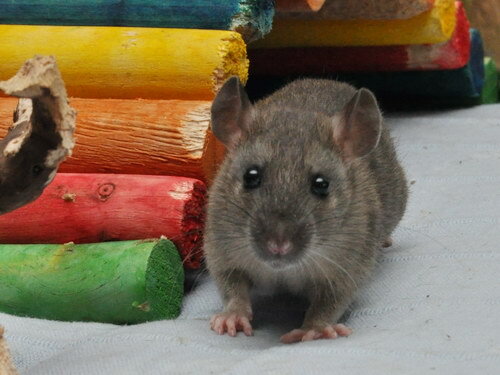 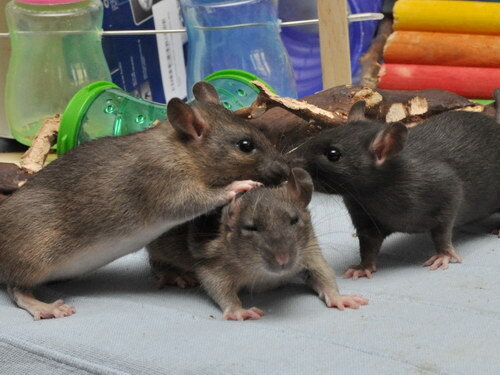 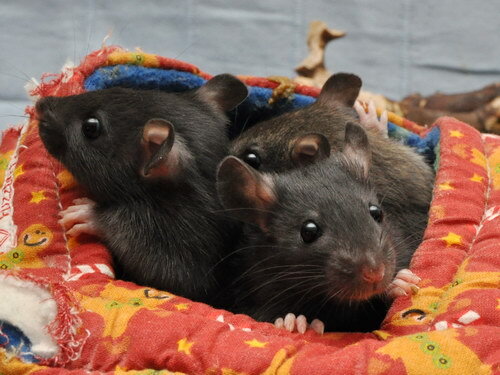 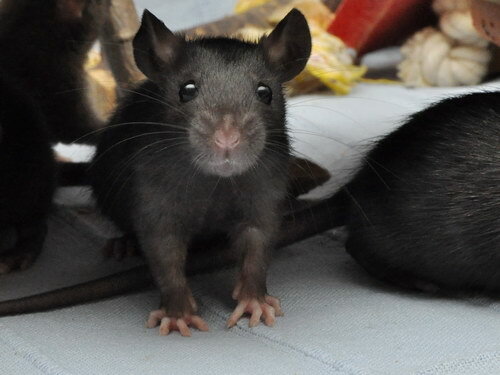 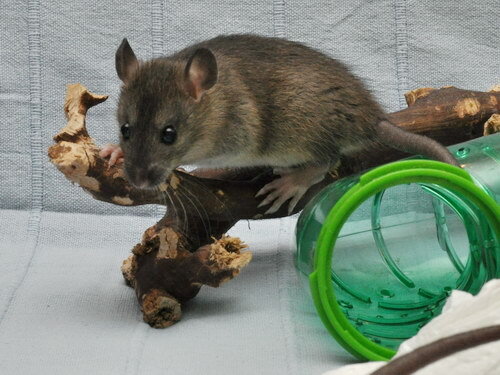 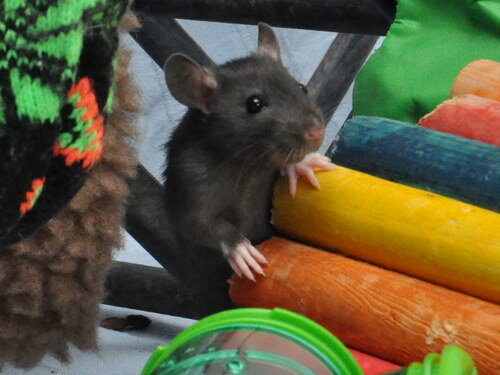 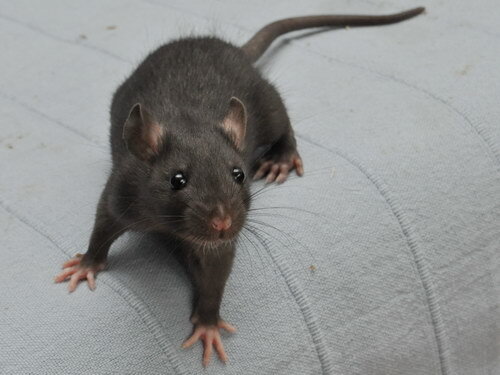 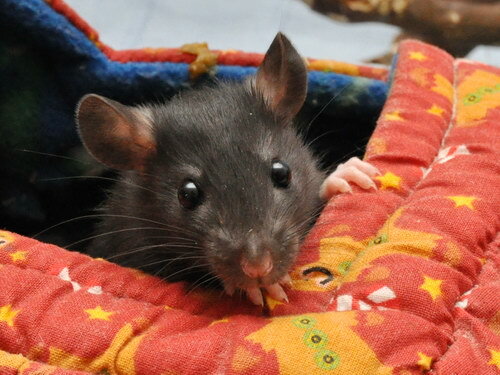 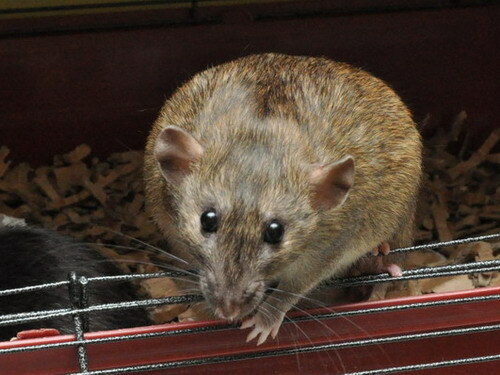 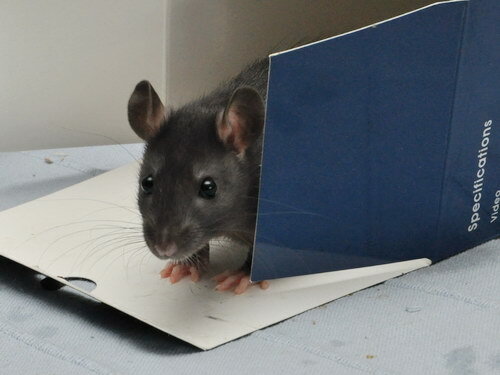 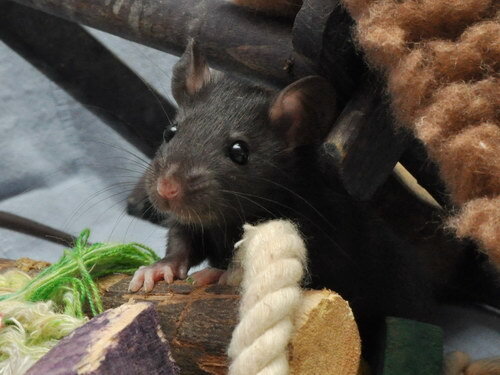 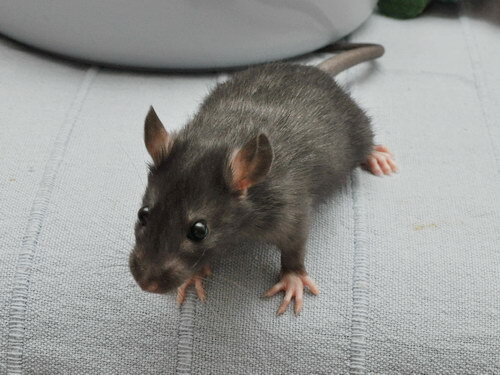 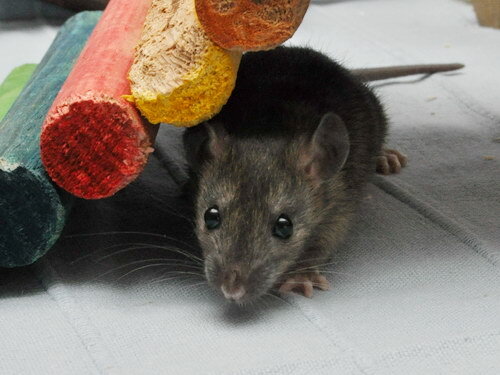 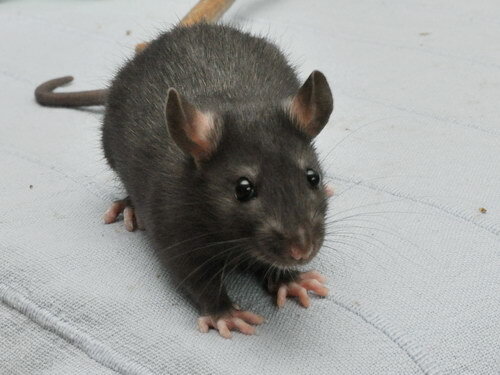 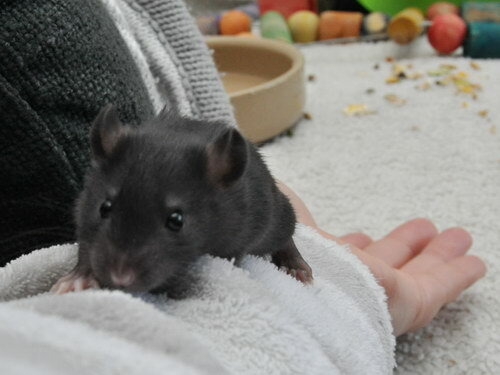 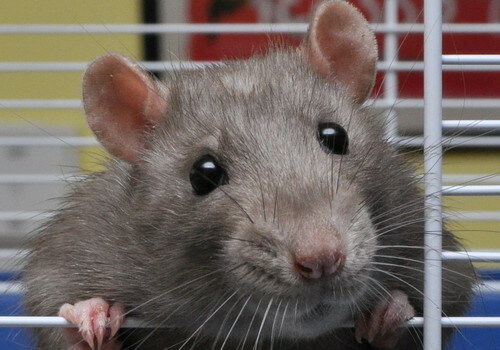 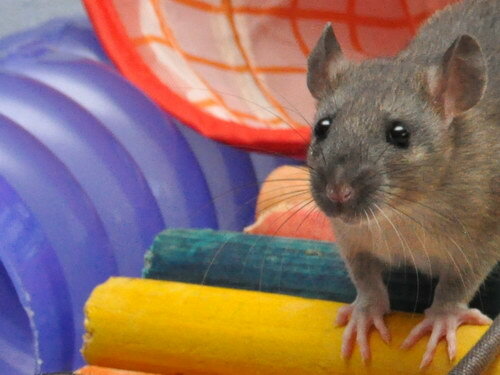 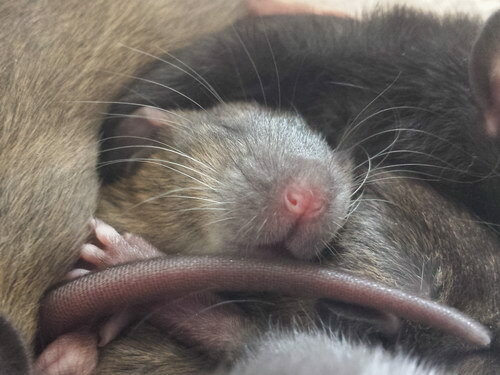 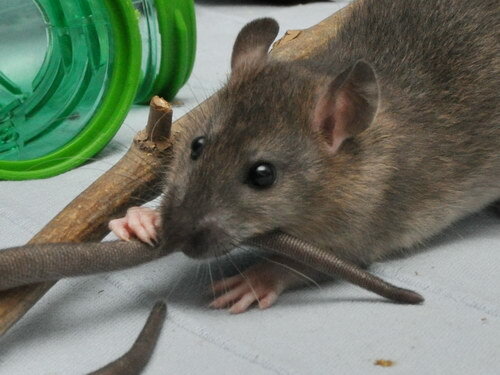 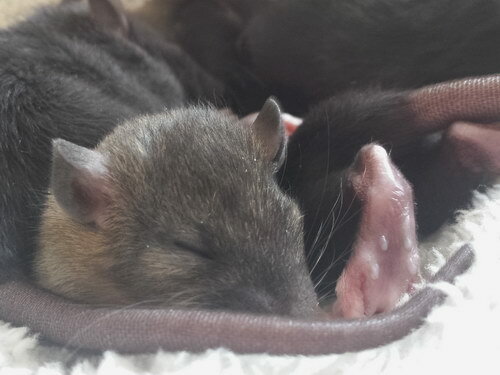 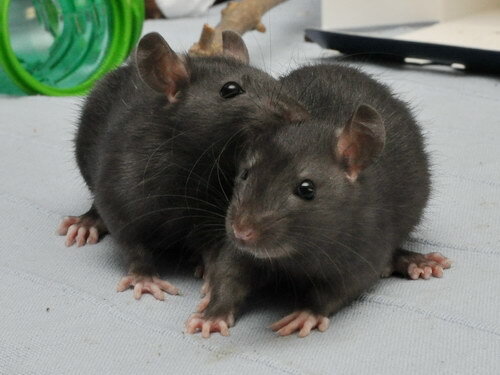 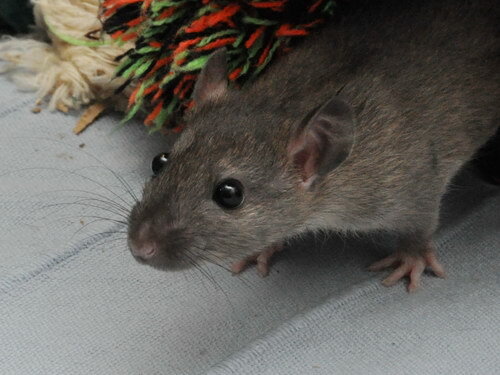 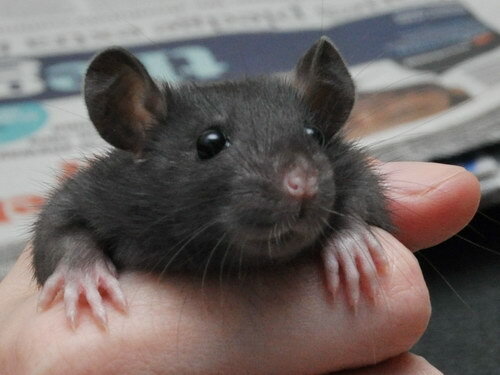 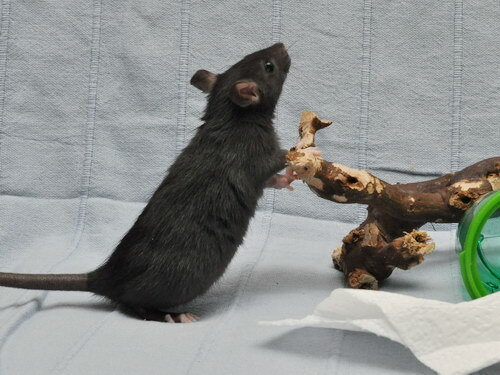 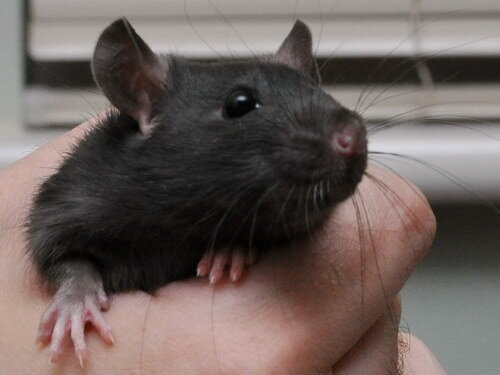 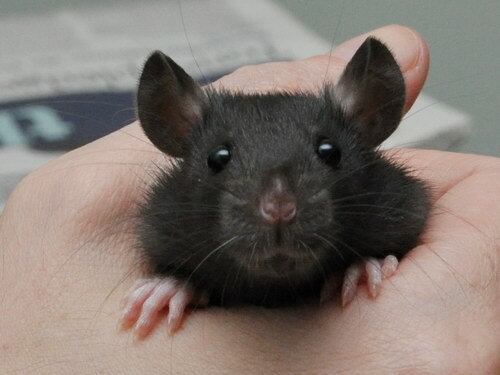 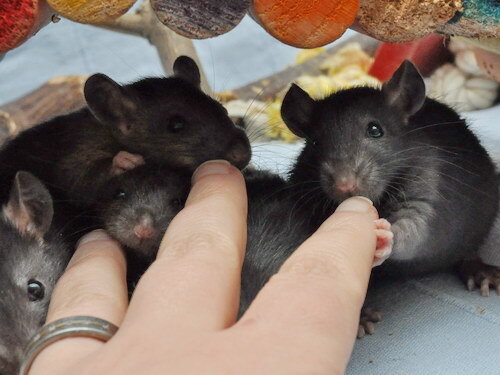 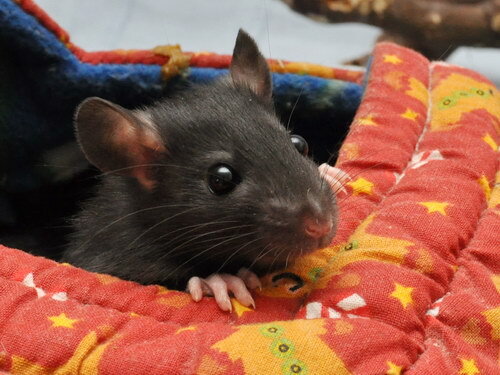 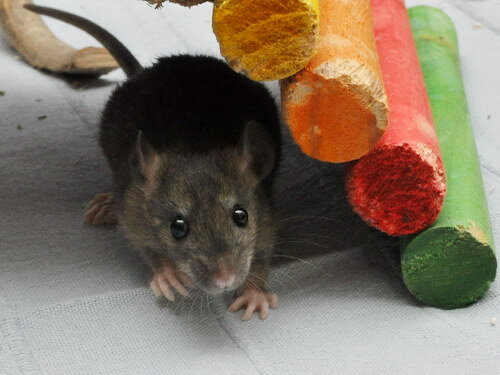 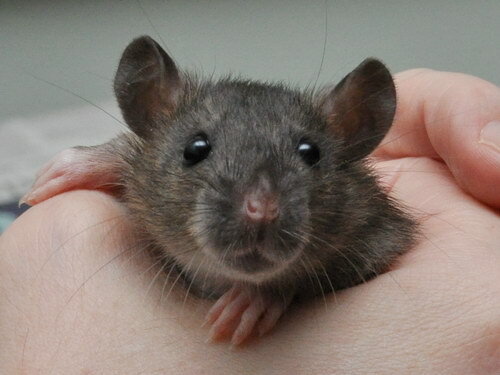 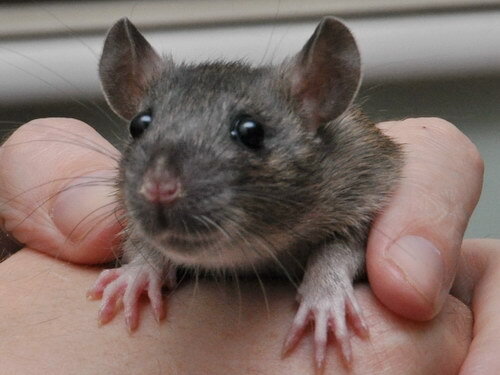 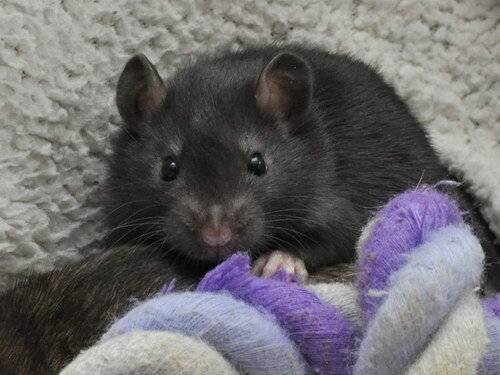 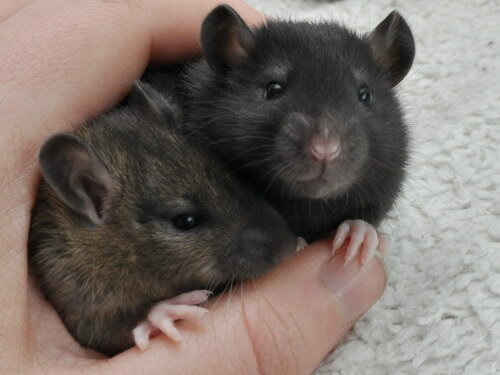 She's kind and gentle with other rats, uncomplicated and easy to live with - very people-oriented although also independent, busy and confident (and a bugger for escaping the cage at feeding time!). 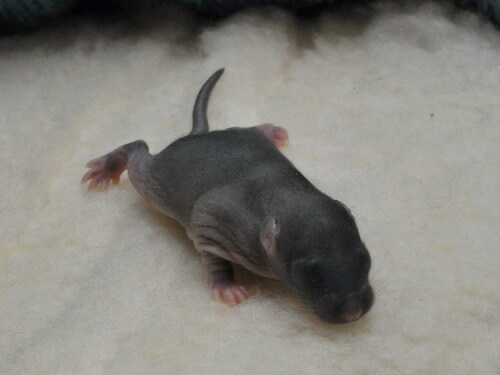 She is quite a small doe, with lovely eyes and nice fit muscled body, easy to keep in good shape and weight. 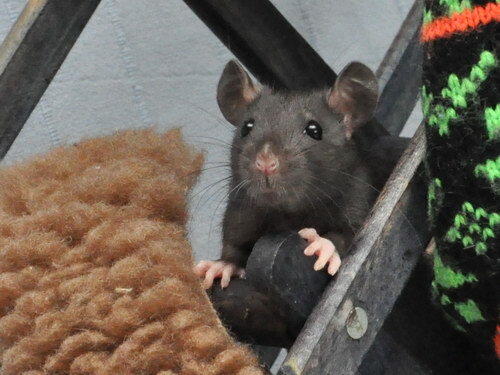 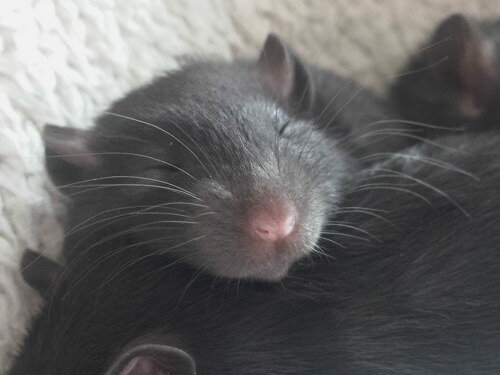 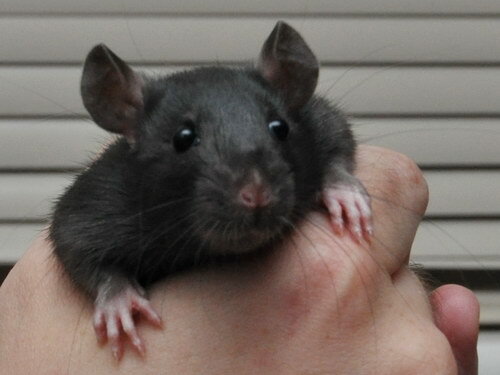 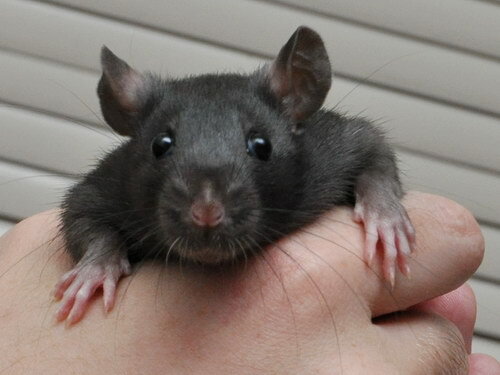 Hedonista is one of those rats I wouldn't hesitate to plonk on someone who has never handled a rat before, as she's so sweet and effusive and never fails to draw a smile. 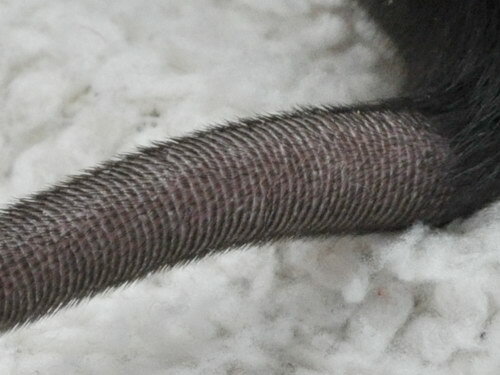 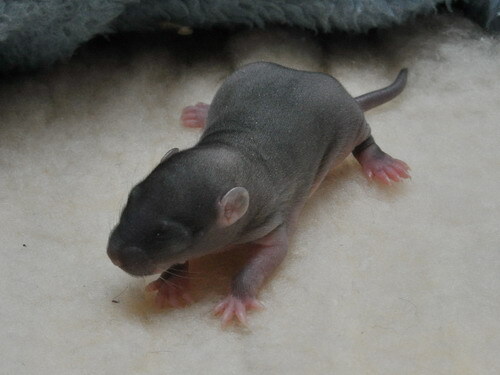 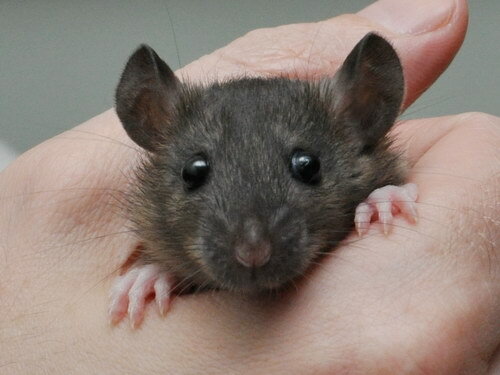 Twirlip is a lovely long silver mink buck from my sixth litter. 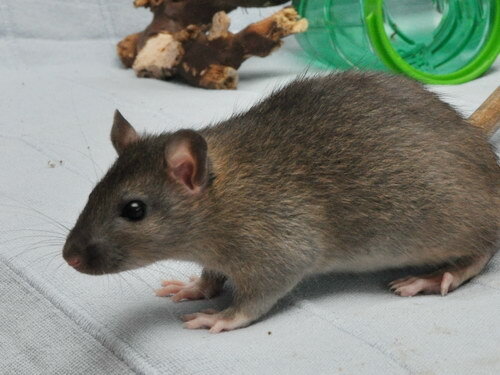 He is fit with nice muscle tone, and temperament-wise he is solid, steady and engaging. 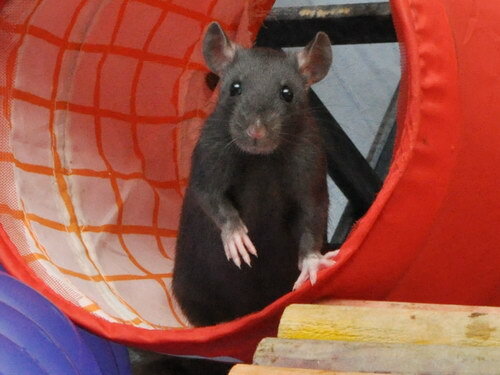 He is still young (13 months) and hasn't fully grown into his width and mass, so he's not very "bucky" yet. 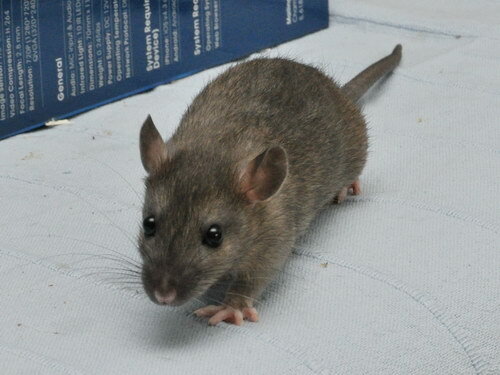 He has a gentle manner although is rather mischievous and playful. 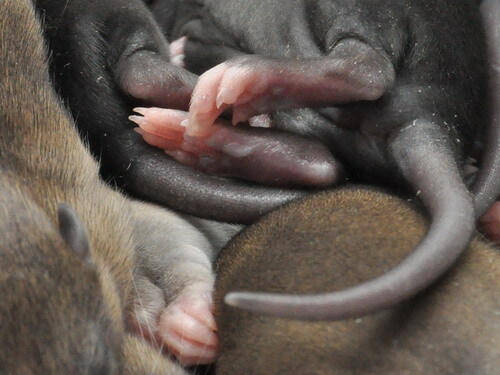 I'm hoping this combination will produce lovely steady babies with good type who mature into adults who work well in groups. 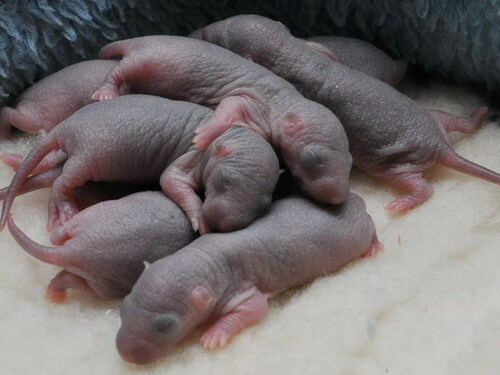 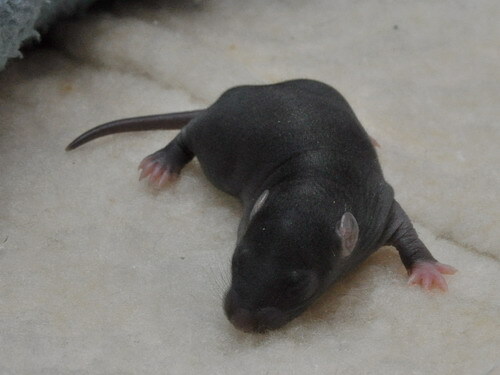 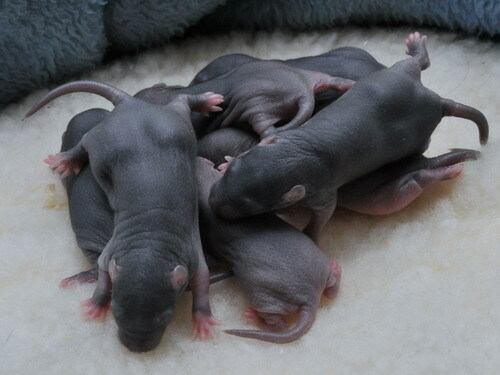 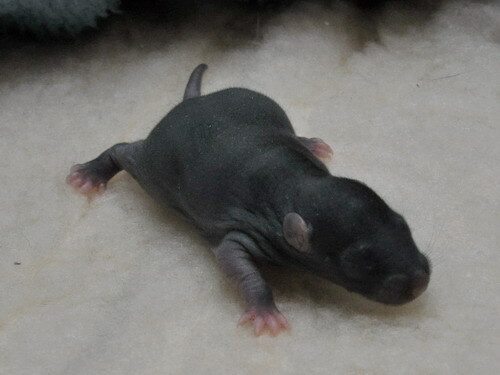 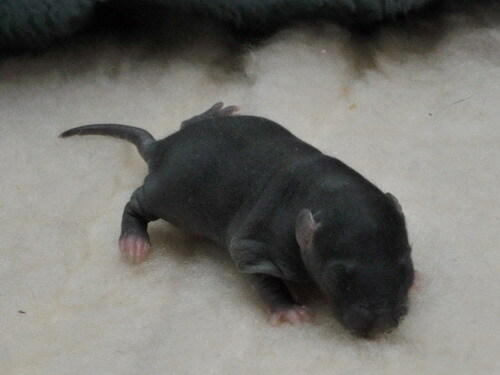 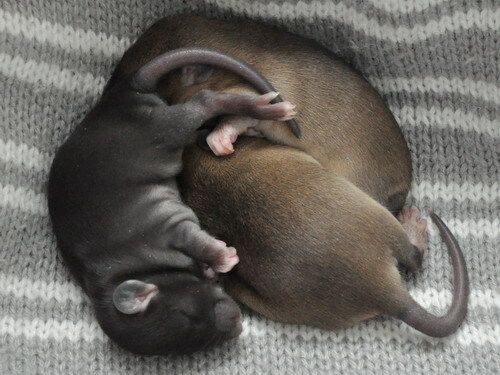 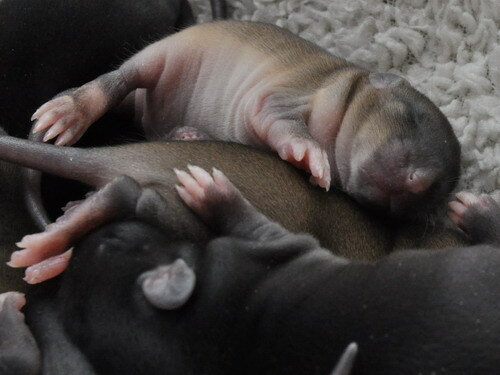 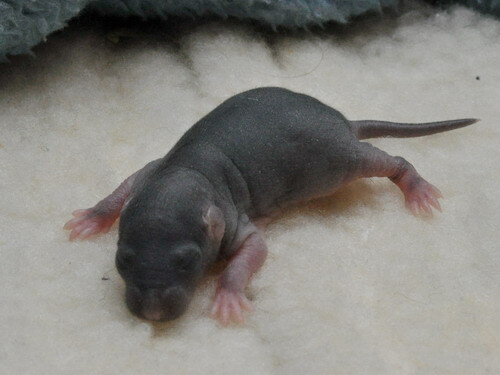 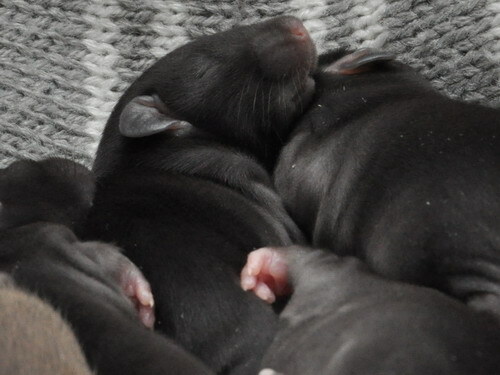 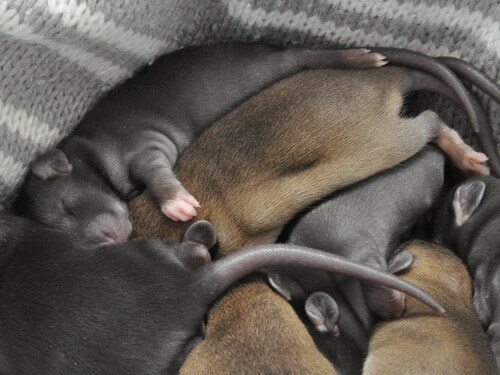 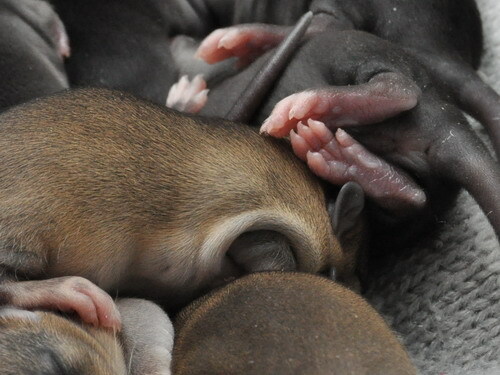 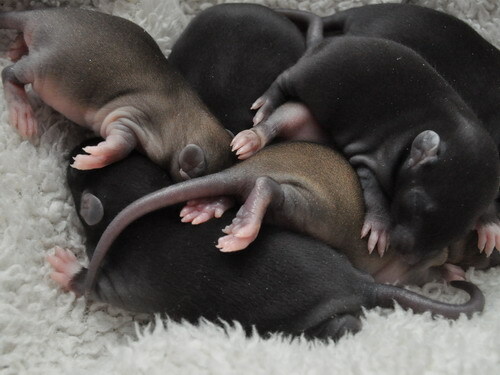 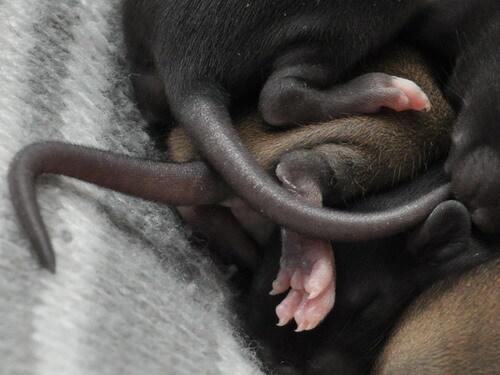 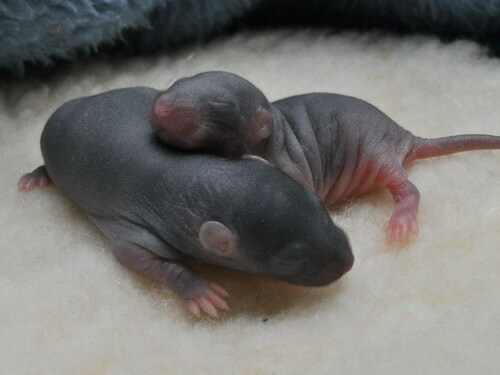 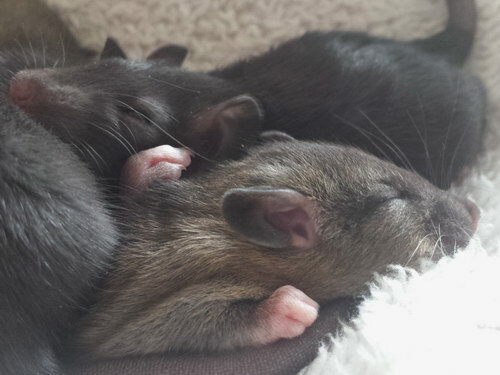 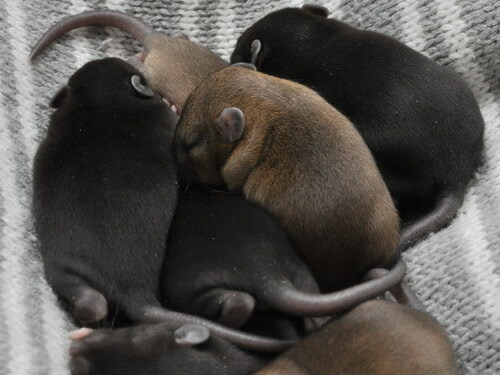 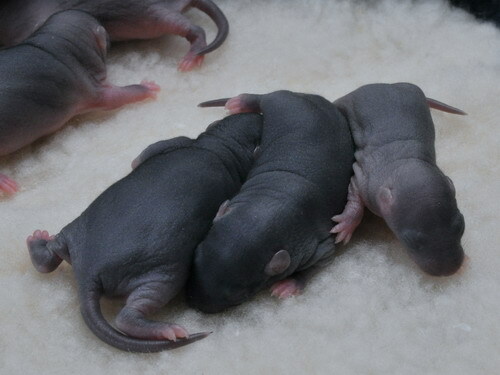 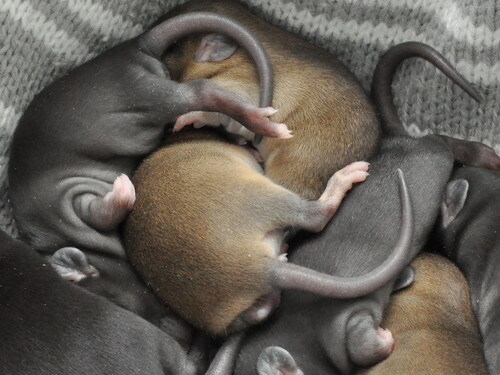 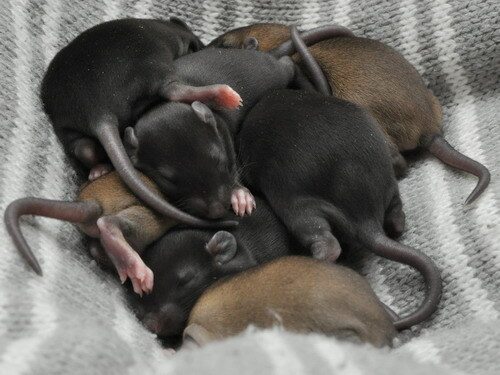 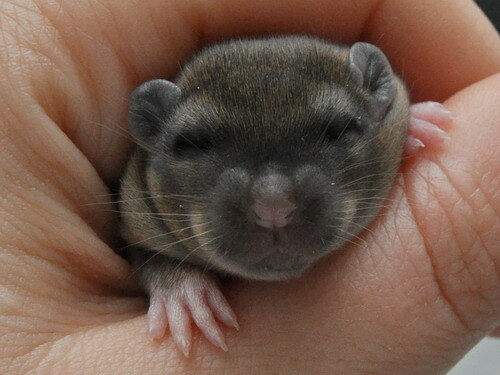 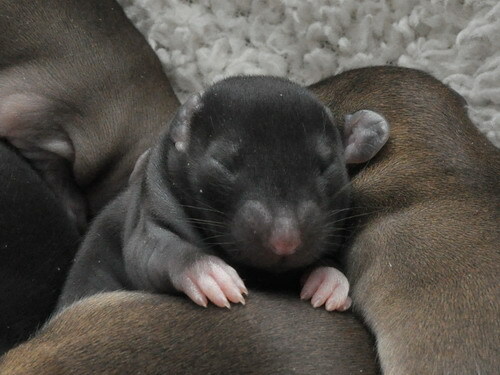 All the babies will be mink carriers which will be a further step towards establishing this gene in my line.